The administration and staff of The Sports Centre are pleased to invite you, your family and your friends to participate in the various activities of athletic fitness and leisure. 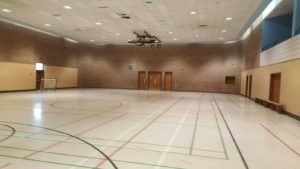 The Sports Centre’s main objective is to provide quality programs and services, a variety of special events and a diverse method of registration for its members. Some activities are offered year round, others during the school year and camps in the summer months. Registration fees can be paid by personal cheque, certified cheque, or money order. Taxes are included in all fees quoted. No registrations will be accepted over the phone. No re-imbursements except for medical reasons. 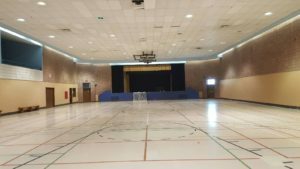 Birthday parties offered at the Montreal Sports Centre 3 hrs includes 1 ½ of gym time and hall for birthday. Cost $225. Tel: 514-738-2421 ext.111 (after 12:00pm). Tel: 514-738-2421 ext.132 (after 3:00pm).